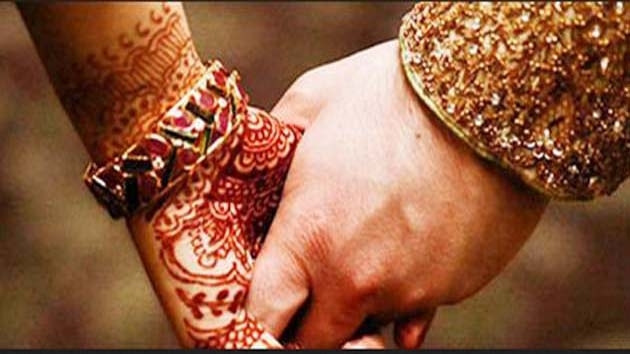 Some planets help in love marriage, some precludes! DEC 07 (WTN) - Today we describe you which planet provide good situation for the love marriage of Libra, Scorpio, Sagittarius, Capricorn, Aquarius and Pisces zodiac person. Let’s know which planet firm up the love marriage circumstance, and which planet precludes. At the same time, we tell you that ways to make love marriage successful. In the case of love, the people of Scorpio are very sensitive, that is, they can never forget whom they love. Due to Venus, the circumstance of love marriage is created for the people of Scorpio, but due to Mercury, the dream of love marriage is not completed. Astrology advises that the people of Scorpio should chant the mantra of Venus and use aroma that means perfume regularly. To please Mercury, donate green Moong on every Wednesday. The Sagittarius zodiac person has narrow nature in terms of love, that is, these people can’t express their love. For the people of Sagittarius, due to Mars, the circumstance of love marriage is created, but doesn’t let Saturn complete the dream of love marriage. Astrology advises to the people of Sagittarius, that they should wear copper for success in love marriage and use more pink color. Saturn can also be pleased by eating jaggery. For the sake of love marriage, donate black goods on Saturday. Capricorn people are quite clever in love, i.e. emotionalism is sometimes showing in the love of these people. For the people of Capricorn, the moon creates circumstance of love marriage and because of the moon love marriage is not possible. Astrology advises that people of Capricorn that they should wear silver to please the moon, as well as use silver white color. People of Capricorn should worship lord Shiva for early love marriage. People of Aquarius are very passionate about love, i.e. if they love somebody, so they love them from the depths of the heart. Due to Sun, the circumstance of love marriage is created, but due to the planet Mars, the dream of love marriage is not fulfilled. To make love marriage successful, it is advisable to Aquarius people that they should offer water daily to the sun and fast on Sunday. Astrology advises that for love marriage, try not to use the red color, but go to the Lord Hanuman temple. People of Pisces are very honest in the case of love, but their love relationships are not stable. Due to the Moon, the circumstance of love marriage is created for the people of Pisces, but it is broken due to the Mercury. They are advised by the astrology that for love marriage that should worship the Lord Shiva and should keep fast on the full moon, and also try to desist from the green color.